Dog Boutique, Designer Dog Clothing and Accessories for your Dog: Dog Dresses and Toys Just in Time for Easter! Dog Dresses and Toys Just in Time for Easter! Easter season marks the beginning of spring. This means it's time for your distinguished pup to shed those winter clothes and put on their Sunday best. At Posh Puppy Boutique, we have just the perfect dog dresses and toys to ring in the holiday and get ready for the brighter, warmer weather. We offer a variety of tanks and tees designed specifically for the Easter Egg Hunt. As always, are tees and tanks for dogs are designed using quality materials to meet the standards of any pup parent. The 100% cotton jersey tees and tanks are reinforced with double needle stitched hems to promote durability and to ensure comfort as he or she heads out to find the hidden stash of Easter eggs. Graphics on tees and tanks are made using rhinestones, rhinestuds, nailheads, or sequins, delicately arranged in colorful Easter themed designs. Perfect for the pup who loves to dress up, our Easter dresses and skirts range from cute to elegant depending on your pup's unique style. Our Couture Easter Dress is made of a special cotton fabric. It is decorated tastefully with a glittered Easter egg imprinted on a delightful baby chick patterned background. In addition, this dress comes outfitted with a collar ring for easy on or off leash fun. Our Elegance Purple Rosette Dress is perfect for the pup who fashions herself a princess. The dress features fabric made of pastel pink satin, a Chiffon overlay with embroidered sequins, and pink satin sash with matching rosette. This dress is sure to impress and features easily Velcro closure for comfort. What's Easter without waking up to special gifts from special pup parents? Our Sweet Lambies Plush Toy made or Berber fleece and corduroy. This toy is especially soft and cuddly but is also super tough due to their durable design of 3 layer Tuffut Technology. What about the Easter basket? 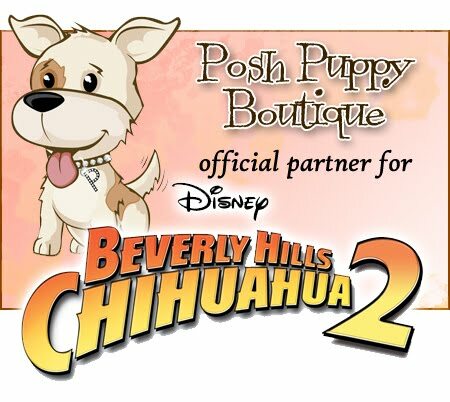 Don't worry, Posh Puppy Boutique has you covered. Our Easter Egg Trio features an assortment of all natural dog treats sure to please your favorite canine. The treats are handsomely decorated just like real Easter eggs and are made from all natural peanut butter dough that is sure to get your pups tongue - and tail- wagging. 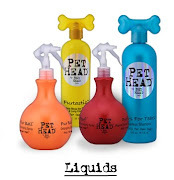 To check out more of our products, please visit the Posh Puppy Boutique Website.